Streatham & Clapham High School is an independent, academically selective school for girls aged 3–18, offering an inspiring, enlightened and intellectually challenging education in a lively, vibrant and warmly supportive environment. The School is in the top 25% of independent schools in terms of its 2012 A Level results. 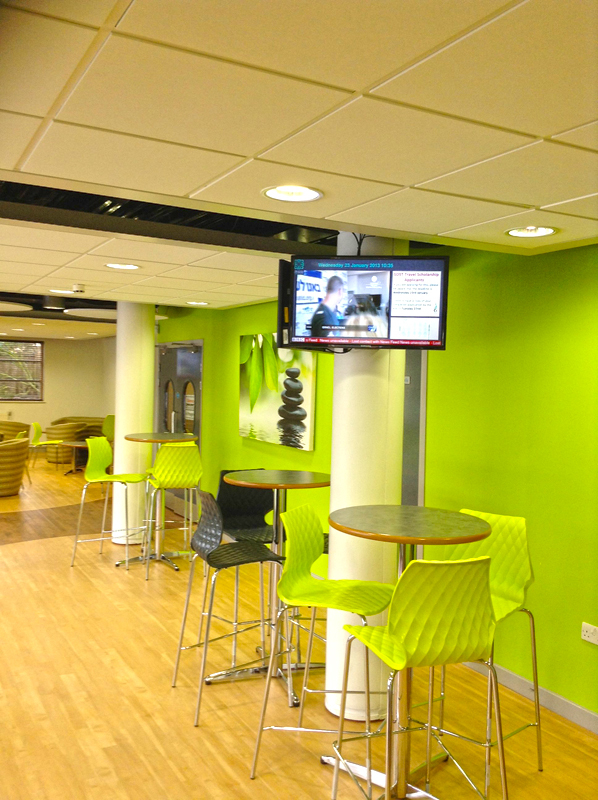 Stretham and Clapham High School were looking at enhancing the new sixth form common room for the start of the 2012/13 academic year. Their core objectives were to communicate key messages from the school to the students at the same time as giving them the ability to watch TV channels and provide them with national news stories. 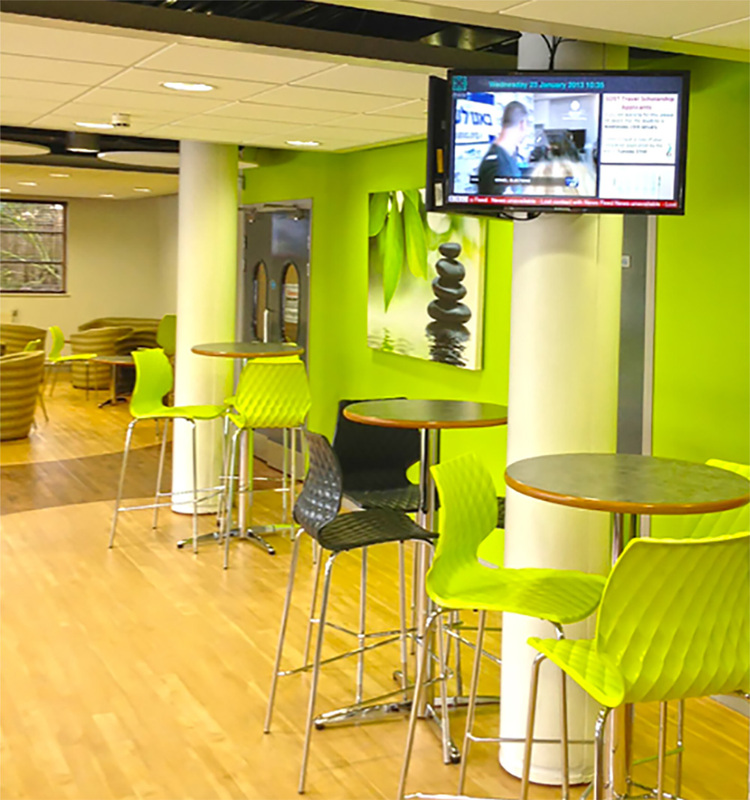 Eclipse Digital Media implemented a streamlined, cost efficient digital signage solution that included one publisher NTB with a TV capture, four screens and a VGA splitter unit. 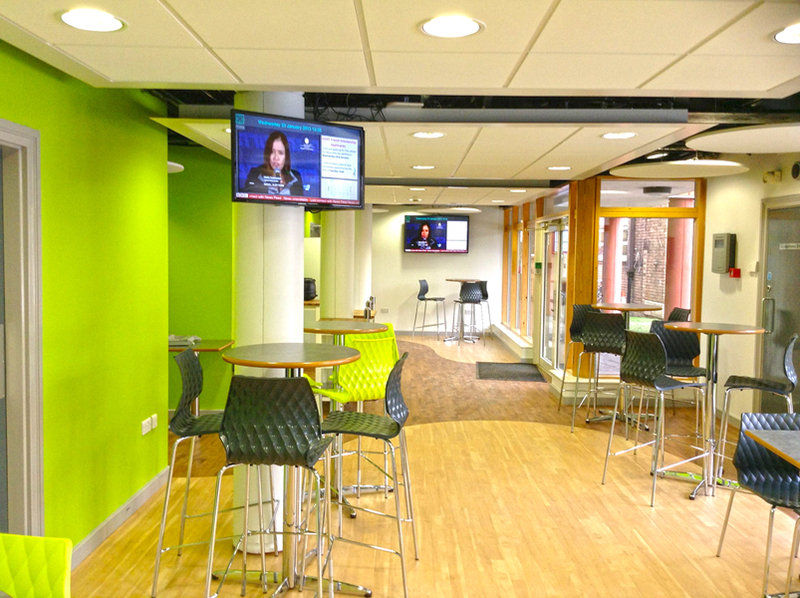 By connecting the freeview TV box the school already had installed to the Publisher, the NTB was configured to display the freeview channels within a main zone of the digital signage layout. We added a BBC News RSS feed to the bottom part of the layout and on the right side, provided zones for the school to update with relevant information. 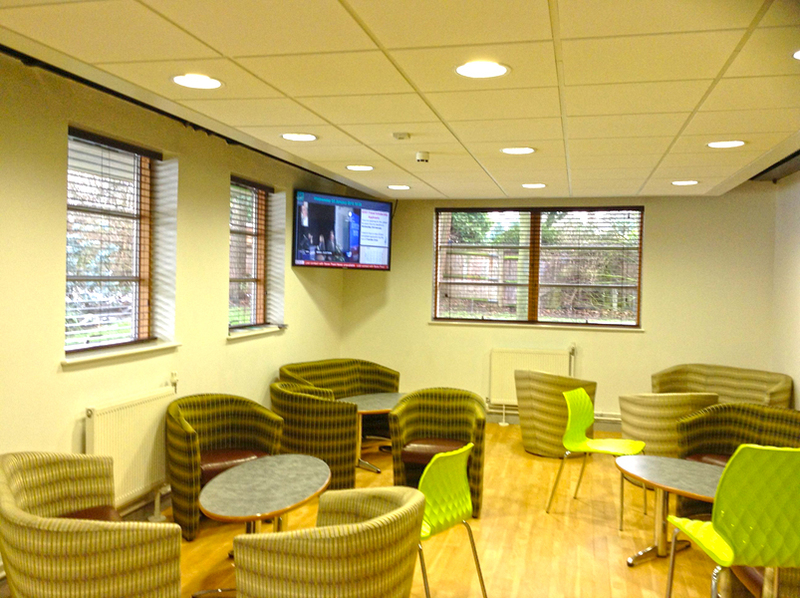 Once the screens were installed in the common room, an output cable was taken from the NTB to the VGA splitter and then the signal was split to the four screens, showing the same layout information on the screens.